Have you ever experienced a carnival, Italian style? Well, I have been to the one in Viareggio and I would definitely go back! Even though it is a small place, Viareggio is well known throughout Italy for its fantastic beaches which attract lots of tourists every summer. 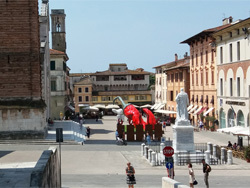 However, Viareggio isn’t known only as a place for relaxation! It’s also full of fun, colours and tradition! 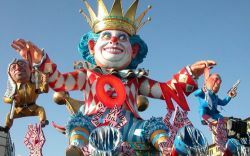 Viareggio is famous for its carnival, which takes place in the period preceding Easter.